TORONTO (Bloomberg) -- Ferrari SpA, the supercar maker being spun off by Fiat Chrysler Automobiles, is close to filing for an initial public offering, Fiat Chrysler CEO Sergio Marchionne said. “We are days away from filing the prospectus,” he told reporters Friday after a panel discussion at the Toronto Global Forum. Debt-laden Fiat Chrysler is spinning off Ferrari to help fund a 48 billion-euro ($53 billion) investment program that focuses on expanding the Jeep, Alfa Romeo and Maserati brands globally. Ferrari picked UBS Group AG to help manage its IPO in New York later this year, people with knowledge of the matter said this week. 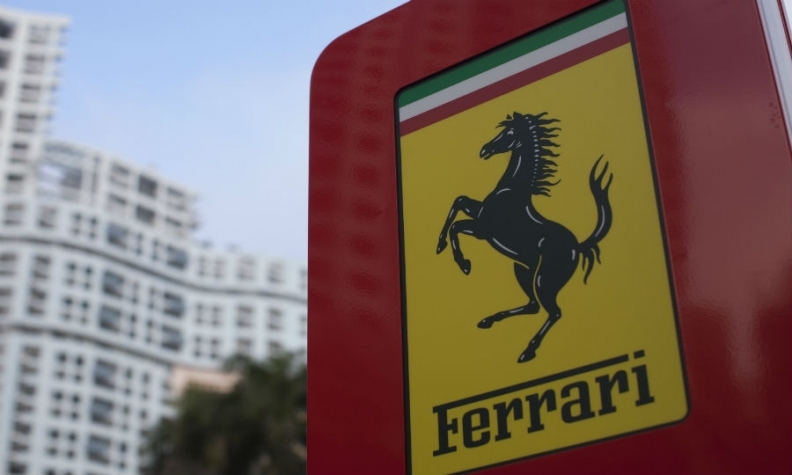 JPMorgan Chase & Co. and Goldman Sachs Group Inc. are also due to play a role in selling 10 percent of Ferrari’s shares to investors, said the people, who asked not to be named before an official announcement. Marchionne declined to say whether UBS would manage the IPO. Fiat Chrysler may consider a secondary listing for Ferrari, most likely in Milan, he said. The CEO also said Friday that Fiat Chrysler hasn’t looked at making a hostile bid for General Motors. He has been pushing for consolidation, contending that the industry’s profitability even in peak years doesn’t generate enough returns to support investment costs. Potential partners, including GM and Ford Motor Co., have said they’re not interested. Combining with GM yielded the most theoretical cost savings, Marchionne said. “There are other, less optimal combinations,” he said. Fiat Chrysler rose 3.8 percent to $14.47 at the close in New York, as the broader market also climbed. Marchionne declined to comment on a valuation for Ferrari. He said earlier this month that he was expecting the unit to be valued “at least” at 10 billion euros ($11.2 billion), which is equivalent to about 60 percent of the parent company’s market value. That was higher than the 8.7 billion-euro average of four analysts surveyed by Bloomberg News. Boosting profit is crucial if Marchionne, 63, is to generate sufficient cash to develop the next generation of vehicles and technologies. His only other option is to share the costs by merging with another automaker, which seems unlikely in the short term despite his efforts to cut a deal.